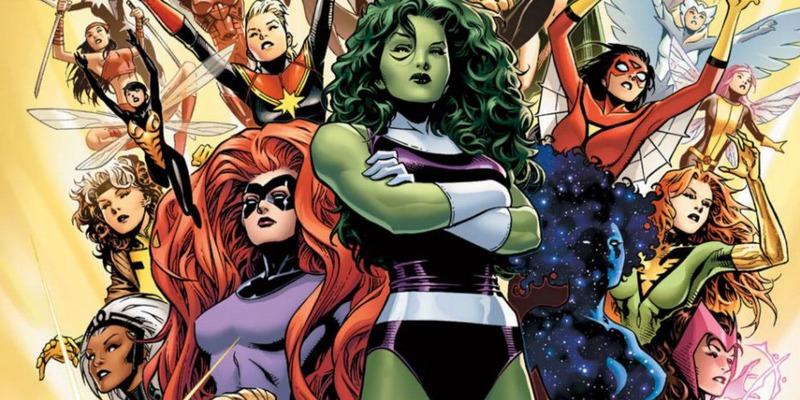 Marvel may have cooled on the idea of an all-female teamup movie. Or perhaps they were never really that into it at all? You can tell when an opinion around a project has solidified by the uniformity of the statements coming out about it, and in this case we have Tessa Thompson, Elizabeth Olsen, and Karen Gillan basically all saying the same thing about the film, which is that it was blown up to be more than it actually was. "I don’t know. That was kind of an offhand thing, and then the press really ran with it. The extent to which the press ran with it is also an expression of what ripe a time it is for something like that. That people are hungry for it, that people are interested in it. I think, regardless, Marvel is making their Black Widow movie and they are doing Captain Marvel and the female characters in the big team-up movies tend to be, at least for me, some of the strongest elements." So it may not be dead because it was never really alive in the first place? This kinda seemed like a situation in which Kevin Feige was backed into a corner and had to say the right thing. Until there's something firm on this, expect him to give you the standard "It's one of many projects we're looking at" responses when asked if a female-led Marvel team movie is in the works.